Even though tree removal is the last option, there are situations when it is needed. A skilled South Caroling tree service contractor can assist you in deciding whether or not a tree needs to be eradicated. 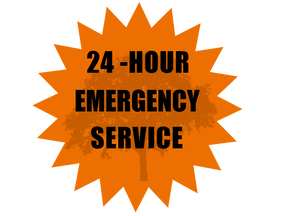 As the most affordable company for tree removal Spartanburg, SC, you can depend on us to get the work done quickly. When your outdoor space requires tree removal, we examine the tree dangers and decide which service can reduce the tree becoming hazardous to you, your property, and your neighbors. We realize that trees offer numerous advantages to the planet, but there are times when trees may be a risk. Almost every tree has the ability to fall, particularly when it is exposed to storms and high winds. There are several reasons to cut down a tree. Nonetheless, only an SC professional tree removal specialist can accurately decide which tree service you will need. In addition to tree removal, we offer stump removal and tree pruning services as well. Spartanburg Tree Care is highly qualified for the safe cutting of any tree on your property. Let me help you resolve your tree problem today with an in-depth consultation. Our tree care experts manage your problem rapidly, guaranteeing the safety of your property and you. Some winds are strong enough that your trees become marred or begin to lean. Leaning trees are a threat to your property. ​When a tree is dying, it increases the potential for creating a dangerous circumstance. Trees that are near buildings and people pose a very serious threat, especially when there is adverse weather. It is imperative that unhealthy trees be removed as soon as possible. Even with regular tree maintenance, there are times when a tree will fall due to storm damage. If you need tree removal service for your home or business, we are the ones to call. As the best tree removal business, our arborists get rid of any size or shape tree from your business, your yard, or even the neighborhood park. We offer tree removal that is cost-effective, so you don’t have to spend a fortune. Tree removal Spartanburg, SC is unsafe and shouldn’t be done by any one but a professional who has the experience to perform tree removals. Our team removes trees from the trunk to the crown. We can take care of any tree problem issue for you. When disaster strikes, it is critical to be prepared. We pride ourselves on being dedicated and reliable to protect you and your property from harm. If you have broken trees due to a tornado and you need them removed, call us. Don't try to do it yourself as you could damage your yard and injure yourself. We love to partner with fellow tree companies throughout the country, if you're in Florida and need a tree service in Spring Hill, look them up! Also if you need tree removal in Newcastle, look up our friends down under! For tree service in El Paso TX., our friends will take great care of you!